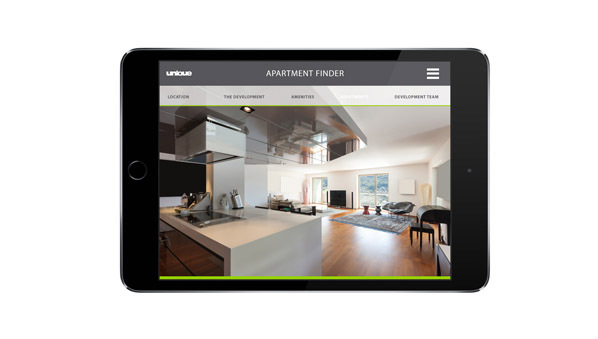 Our ‘Apartment Finder’ is a unique and innovative method to enable a potential investor to search for a suitable property. 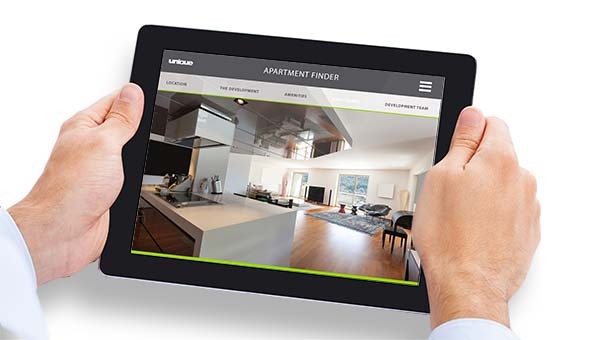 It is a powerful marketing tool that can be utilised across multiple sales channels. 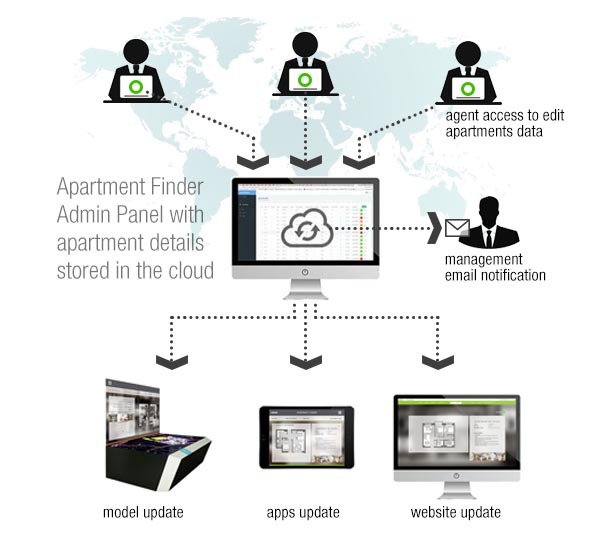 The data for the ‘Apartment Finder’ Module is cloud-hosted in a user-friendly ‘Master Database’. 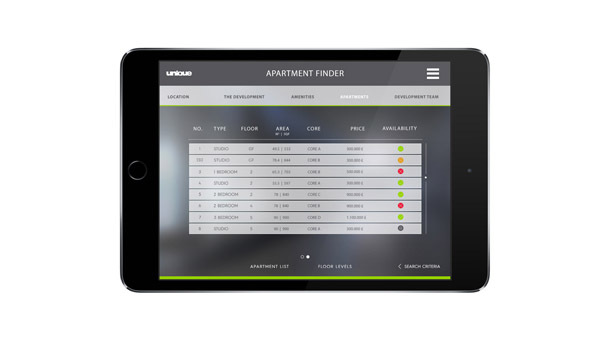 This data is web-based, enabling the Marketing Team to manage and amend information about each unit within the development, from anywhere in the world. 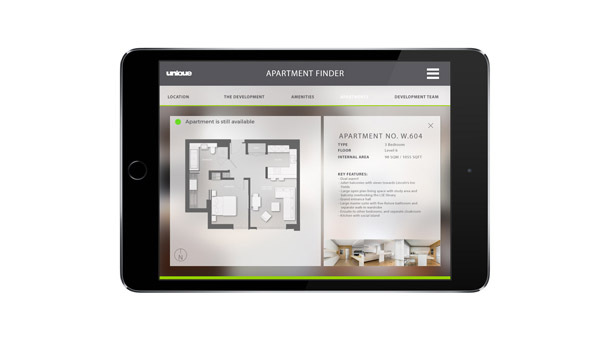 Updates to the master database automatically feed down to all the applications that feature the ‘Apartment Finder’ Module, via the internet. 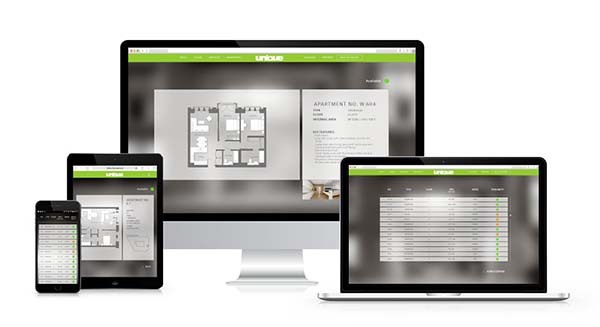 Additionally, as part of an audit trail, any changes made in the ‘Admin Panel’ are notified via an automated email to any relevant email addresses chosen by the Client. 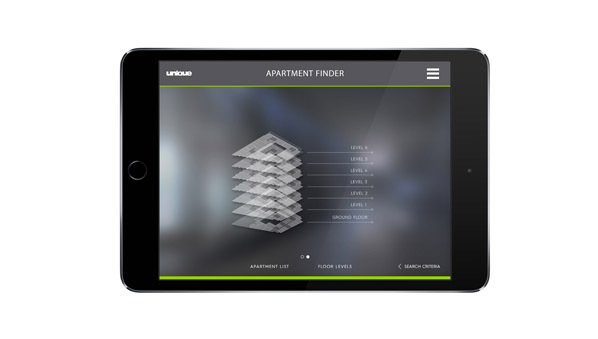 When combined with a Scale Model of a development, the search results enable the relevant units to light up on the model. 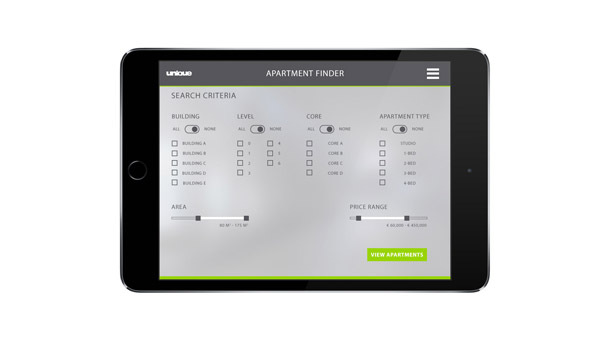 By choosing a search result, the relevant unit will remain lit on the Scale Model, enabling the user to easily locate their choice within the development. 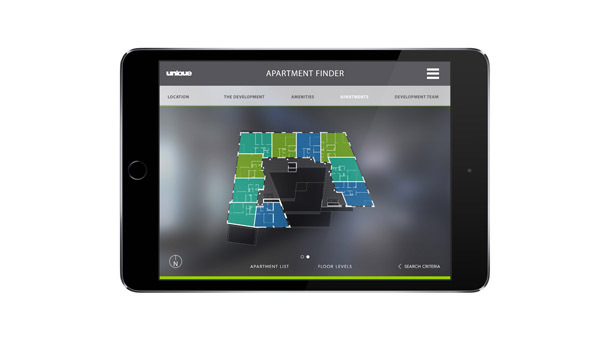 Floor plans, images and associated information can all be viewed on the tablet device. 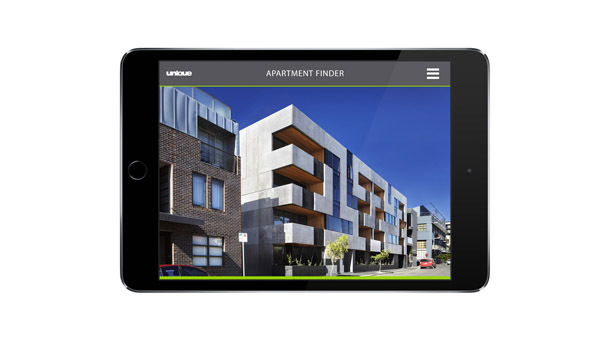 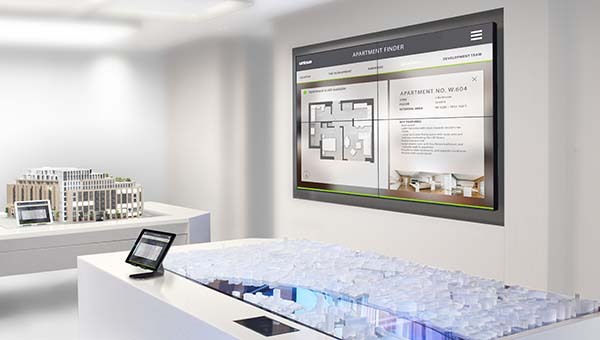 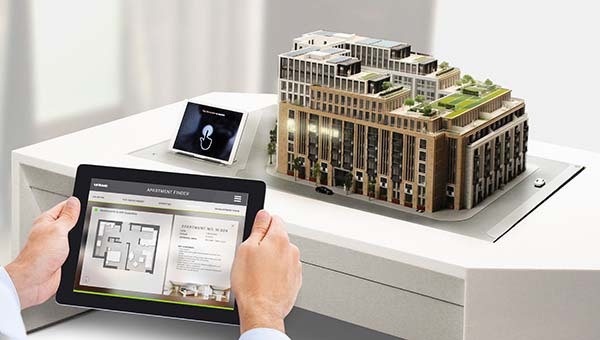 The Apartment Finder can also be implemented on websites and standalone tablet apps, an ideal marketing tool for selling “off plan”.